Hey folks I was wondering if there are any audiophiles on here besides me. 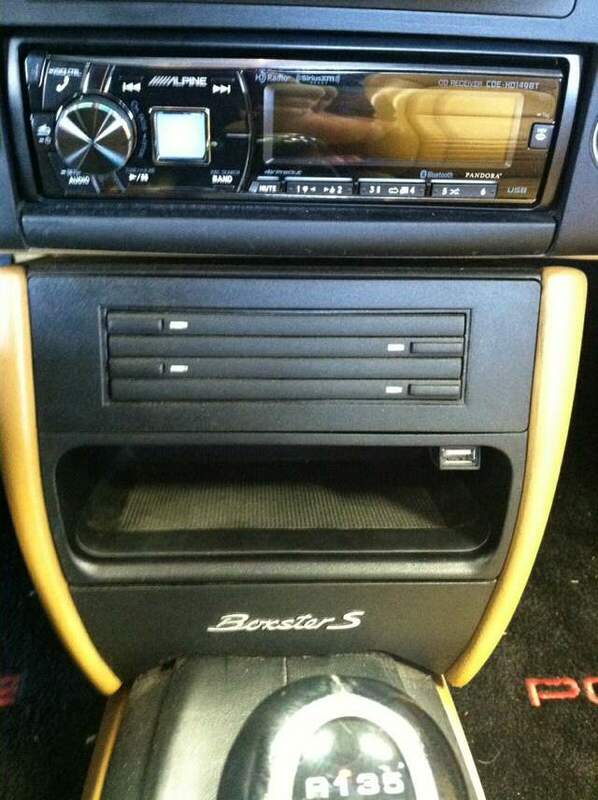 With the 986 stored away for the winter I tend to listen to my system more often. I just picked up my first pair of midfi headphones. They are the Hifiman HE400s model. They sound pretty awesome, but I read on a forum about some cheap mods to make them sound even better. Kinda like the car, I can't ever leave well enough alone. I respect a kid that likes to keep it old school. 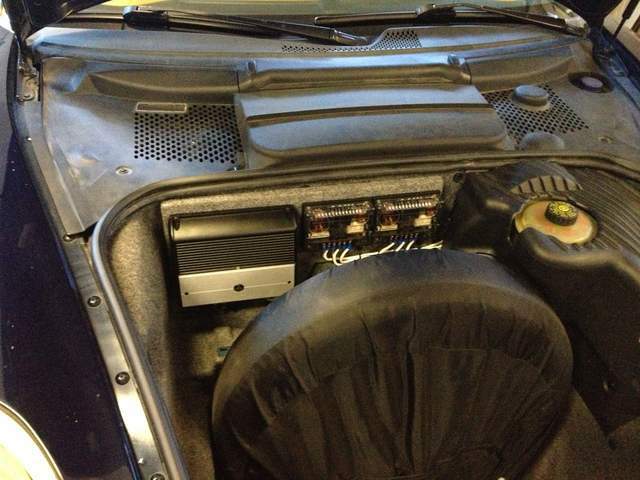 Put a very nice system in the boxster - focal speakers, JL amp and sub, alpine head unit. The stock system is hardly worth listening to if you can even hear it. This upgrade is a very satisfying upgrade. I'd like to see pictures of this (build log? ), if you would be so kind as to share. Here are a few picts of the install. 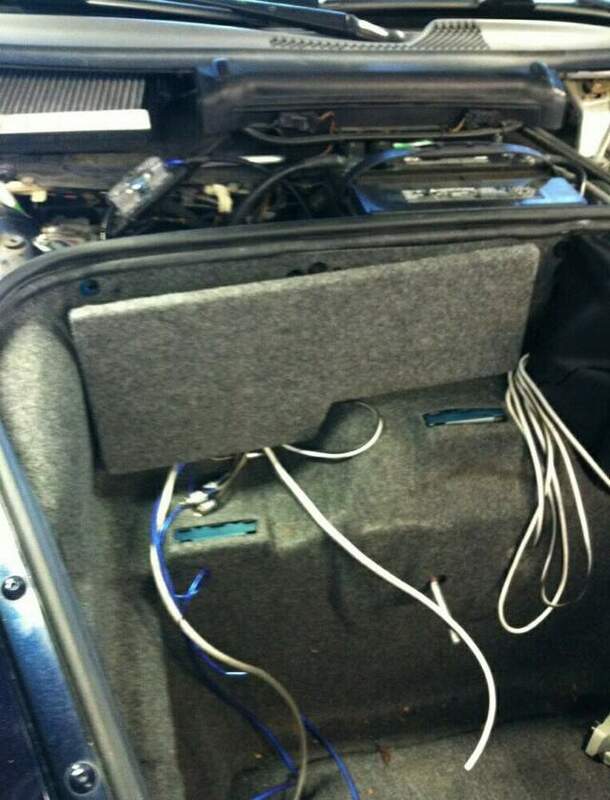 Nothing to see for the speakers, as they are behind the stock enclosures. Thanks, I've got some ideas in my head for the amp, but I didn't realize that JL was so small. It might be a good option for me. Stuffed inside my stock amp is my signal processor that will handle all my crossover and equalizer needs. As far as this thread goes... I can't concede that I am an audiophile by the stereotypical definition. 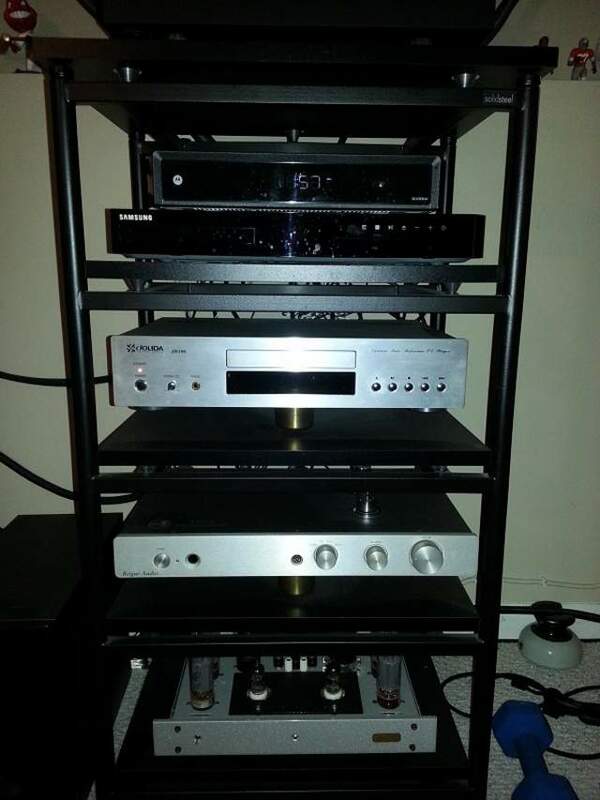 I don't de-static vinyl records before playing them on a $10,000 turntable, pay $500 for a meter of interconnect or lift my speaker wires off the ground with maple posts. I do however very much enjoy music and building home and car audio systems. >> it's the JL digital line, hence why so small with so much power. so far so good! Notice I didn't say anything derogatory! 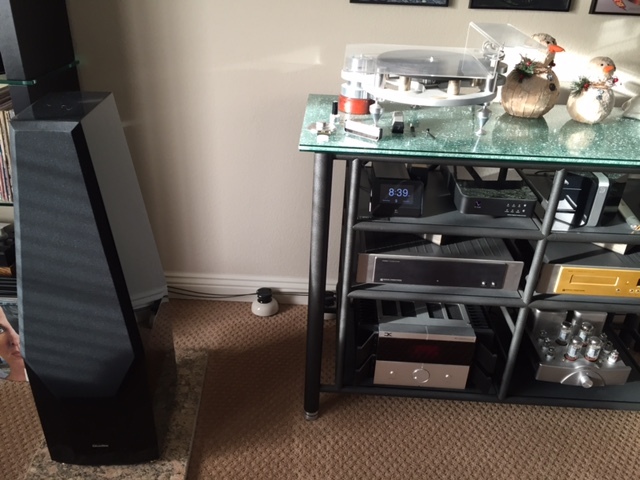 My home speakers are on spikes, and ceramic tiles - I just didn't pay [a lot] for them. The wire for them is 10g industrial panel wiring, techflexed and shrink (shrunk?) wrapped by me. I like experimenting with cheaper stuff, and occasionally spending too much. 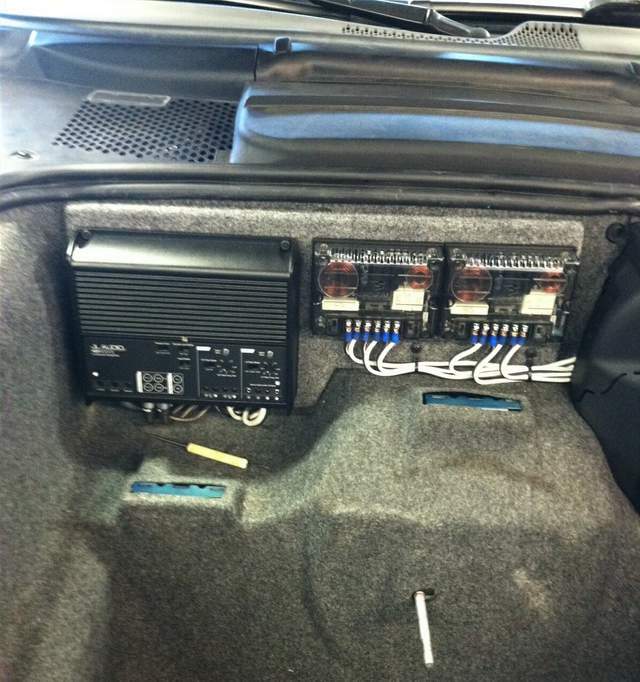 My car stereo history is long, but in my last car I made partial tweeter arrays that mounted to the windshield. Three 28mm soft domes on each side was amazing to listen to. Hey I have the same cable elevators!! But I do not have a turntable like that!! Whoa that thing looks sweet!! Here are a few pics of my system. Nice! Always good to meet another tube guy.. Yes I love the sound of Tubes! Oh! I used to have 3.5's in Gloss Black! 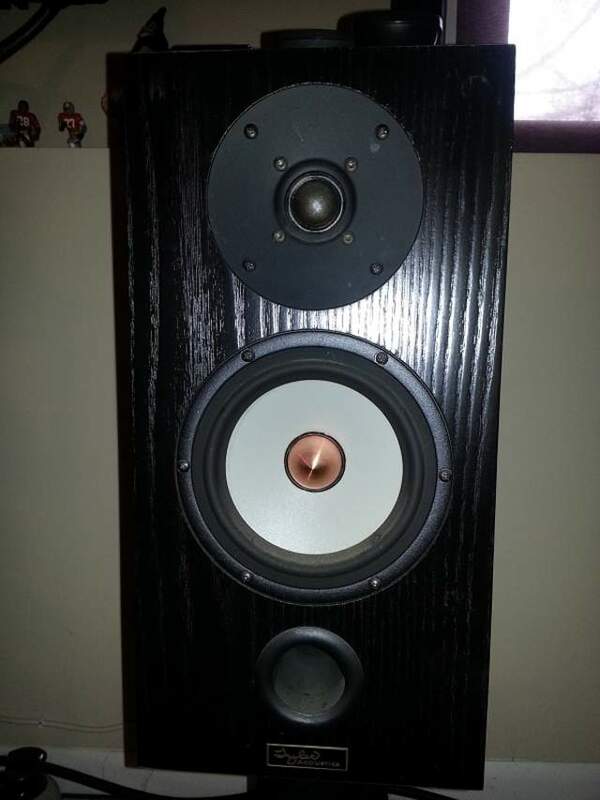 Loved those speakers...still kicking myself for selling them. 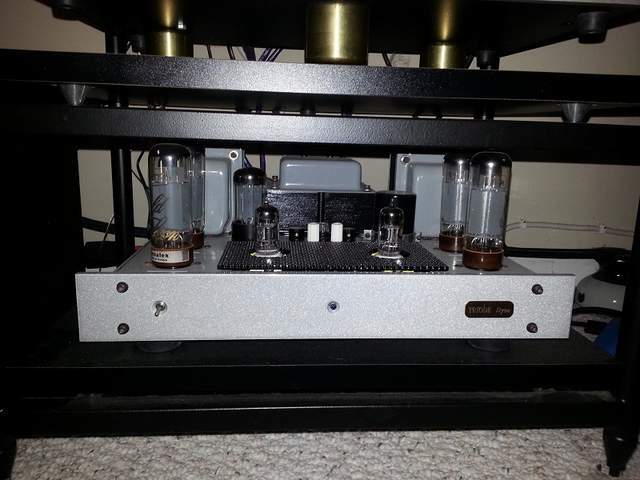 Good stuff, like the CJ tubes - bet it all sounds great! !